No less an authority than Harvey Penick said that a heavy club is the one training aid that every golfer should have. 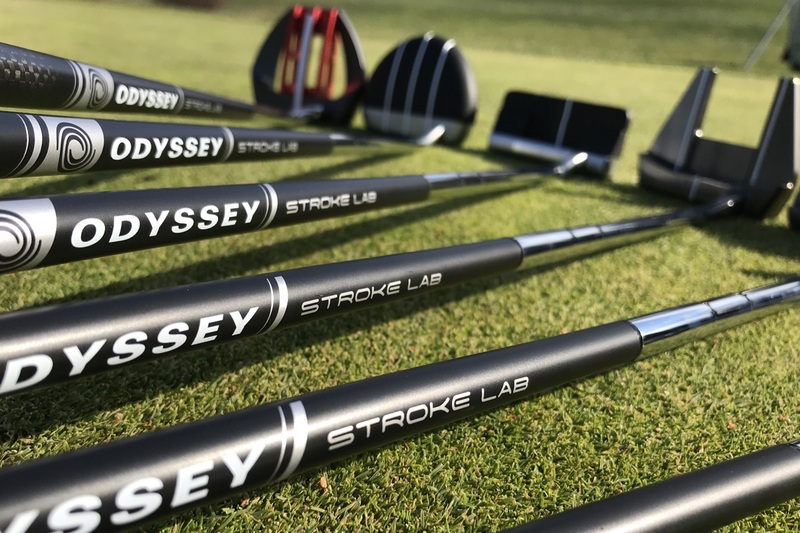 Here’s the problem: today’s marketplace is full of training clubs in varying lengths, weights, and flexes all promising wonderful benefits, from improved balance and tempo to longer drives. So which one should you buy? We’ve brought together some of the best-known and newest heavy clubs for a heavyweight slugfest. So let’s get ready to rumble! Ease of Use: All of these devices are simple to use, no assembly required. 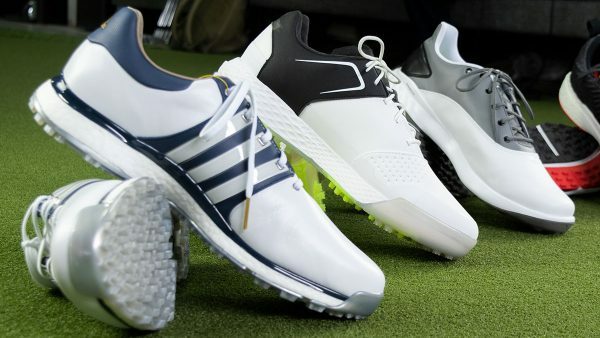 Value: All of these trainers fall around the “average” price of a training aid. While there is a $40 gap from the most expensive to the least, I don’t see price overwhelming utility in the buying decision. 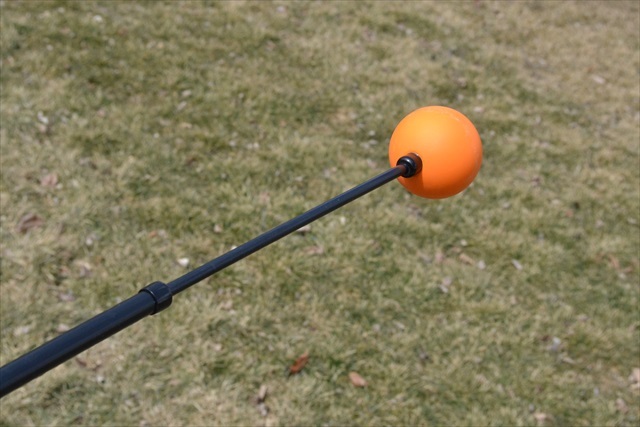 Despite being the heaviest, the Orange Whip is also the most balanced of the heavy clubs in our test. It gives you a strong suggestion about what you should be doing with your swing without threatening to rip your shoulders out of their sockets if you don’t do it. – The price. 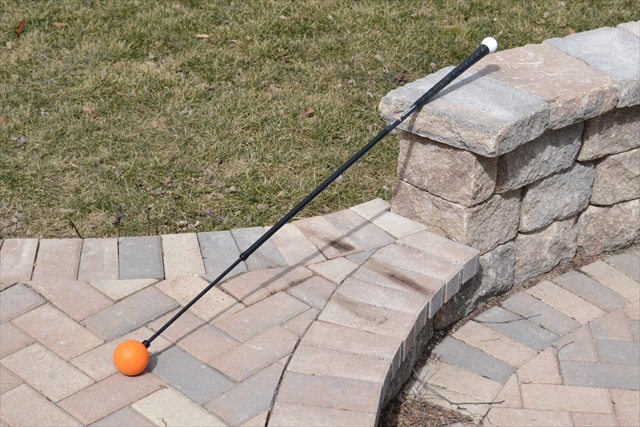 At $10 more than any other club in our test, and $40 more than its direct competition, the Orange Whip demands that you pay a premium to have the original flexible heavy club. A direct descendant of the Orange Whip, the Gold Flex takes the idea of a heavy head to the extreme: its balance point is almost 10” closer to the head than the Orange Whip which makes it feel MUCH heavier in transition. 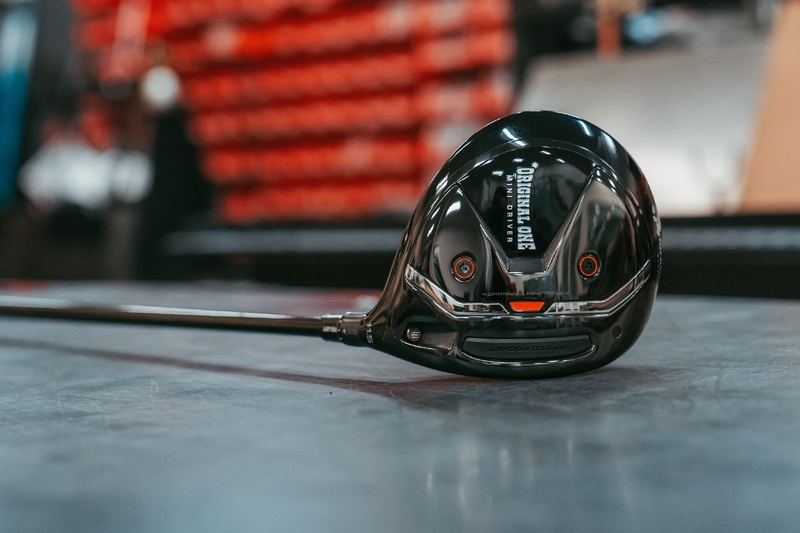 Billed primarily as a strength and distance trainer, the PowerStik has a greater percentage of weight in the head than any other club tested. In spite of that, it doesn’t have that same “heavy in transition” feeling as the flexible heavy clubs. Bonus feature: it stands up on its own. The Tempo Trainer website focuses largely on the ability of this device to help you warm up before playing and to ingrain good mechanics. Despite what the manufacturers say, heavy clubs, particularly the flexible ones, are not a panacea. Swinging the Orange Whip or Gold Flex will not instantly give you a bunch of “lag,” nor will it cure your slice. 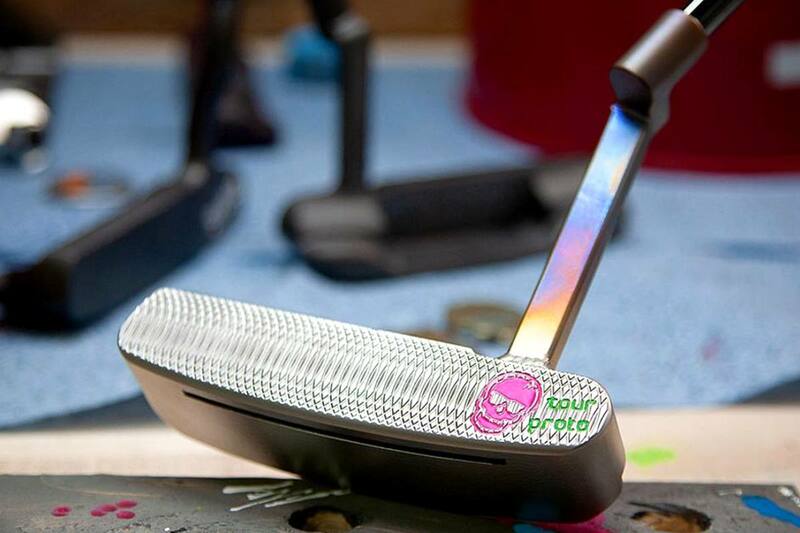 In fact, it is conceivable that these clubs will exacerbate your problems. Please do not take that as a contradiction to what Mr. Penick stated (I do not pretend for a moment to have golfing knowledge on par with his). I intend it merely as an elaboration upon his statement: heavy clubs are great training aids when combined with knowledge of what you are supposed to be doing. I would suggest that such knowledge be gained through working with a qualified teaching professional. I think Mr. Penick would agree. So what should you buy? 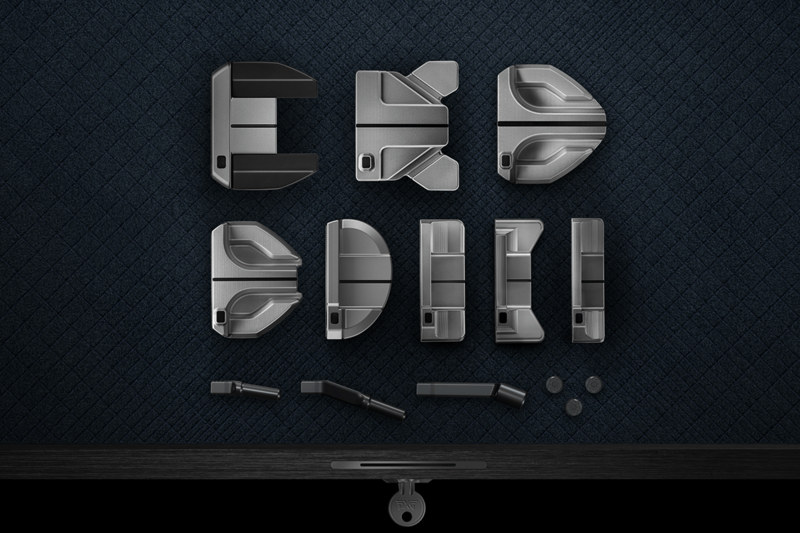 Ultimately it comes down to what you want from your heavy club and how you’re going to use it. 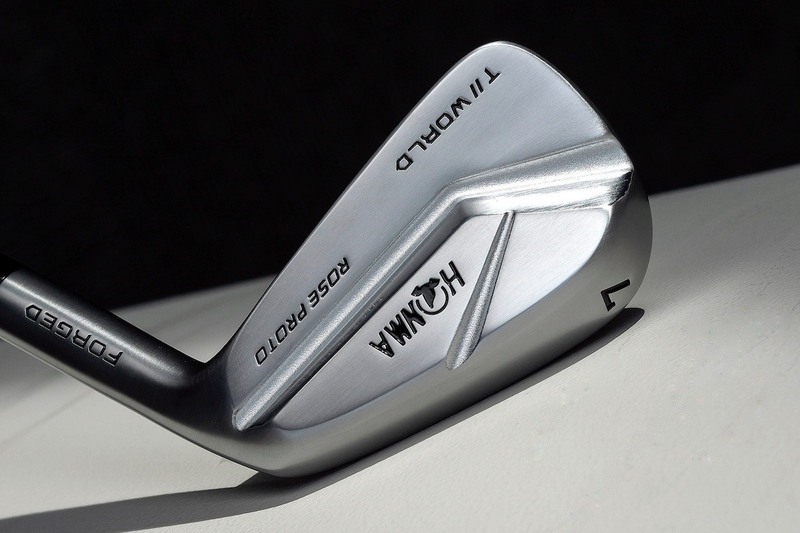 If you plan to use your heavy club indoors, the 48” long clubs probably won’t work. If you need a strong reminder to start your downswing with your lower body, the flexible clubs are a better choice than the steel-shafted ones. 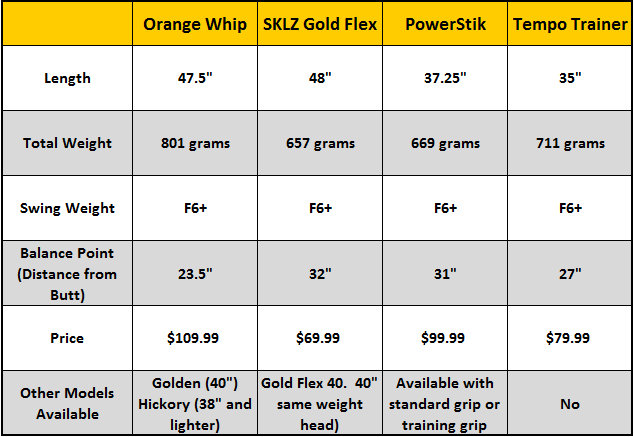 You should be able to find both the Orange Whip and the Gold Flex at any big box golf store, so I would recommend a demo session before you purchase either one. 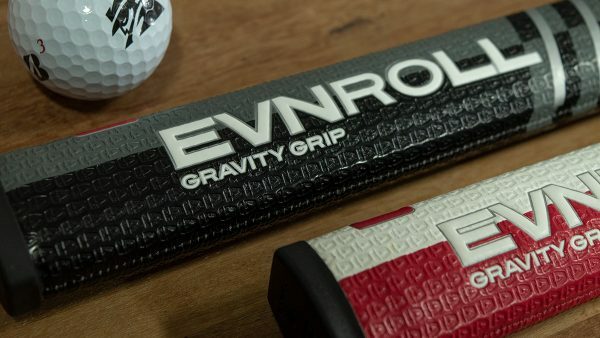 If you decide the flexible shaft isn’t for you, consider the PowerStik and Tempo Trainer. I have the Matzie Swing trainer it does nothing. It actually hurt my shoulder. I come over the top often and was told the Orange Whip would help but the cost has held me back. Does the gold flex help with over the top?? 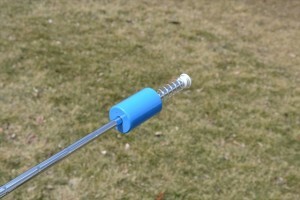 The Orange whip is heavier and more balanced from this article. So not sure which is better. Having read the above comments on Penick and his advocation of using a “heavy practice club and swing it daily through the winter”, and having just read his Little Red Book for the first time in which he talks at length about practicing the feel of the swing very, very slowly (the Slow Motion Drill), I have formed the opinion what the great man was advocating was to swing a heavy club very very slowly (“A slow-motion swing develops the golf muscles”) during the winter to build up the golf muscles. Swinging a heavy club was not to do with tempo imv, it was to do with building / stretching / warming up the golf swing muscles. Going up to “moderately fast” and this I would use to warm up. “Every time you swing that weighted club, slow or moderately fast, ..Learn a good habit while you are building golf muscles”, Penick. I have both the gold flex and orange whip and have to say the orange whip is far better then the gold flex. I just found the balance is better and it seems more flexible [maybe that is just me] and just seems better for my swing. Definitely recommend the orange whip first and yes I also had to pay freight which brought the price for both up a little bit. All of the above mentioned products are excellent training tools. The one feature that the Gold Flex has though that the other products do not promote is the Gold Flex forces you to every so slightly pause at the top of the back swing due to the precise engineering of the weight and flexibility of this training aid. If you do not wait for the Gold Flex to catch up with you before you start your down swing you will feel an off balance and vibration in your down swing. Almost every teaching professional enjoys using the Gold Flex as it forces the student to make a smooth transition at the top of there Golf swing. 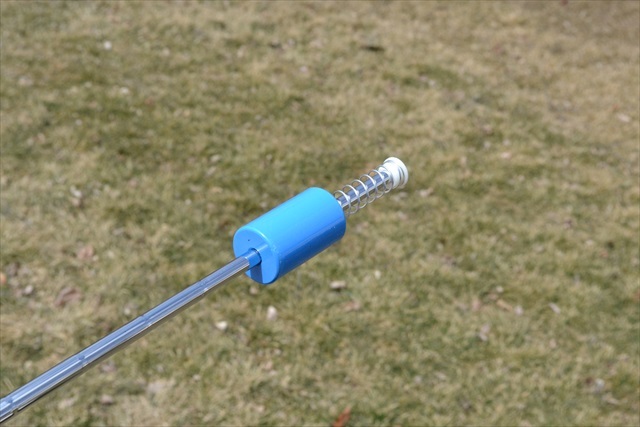 This aid lets the golf swing catch up with you to create maximum lag in the power slot. Quite a discussion going here. I am the creator of the PowerStik swing trainer. 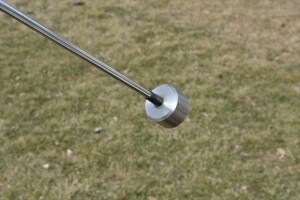 I did base my initial design from Mr Pennick’s advice that a weighted club should be in the 22 ounce range. 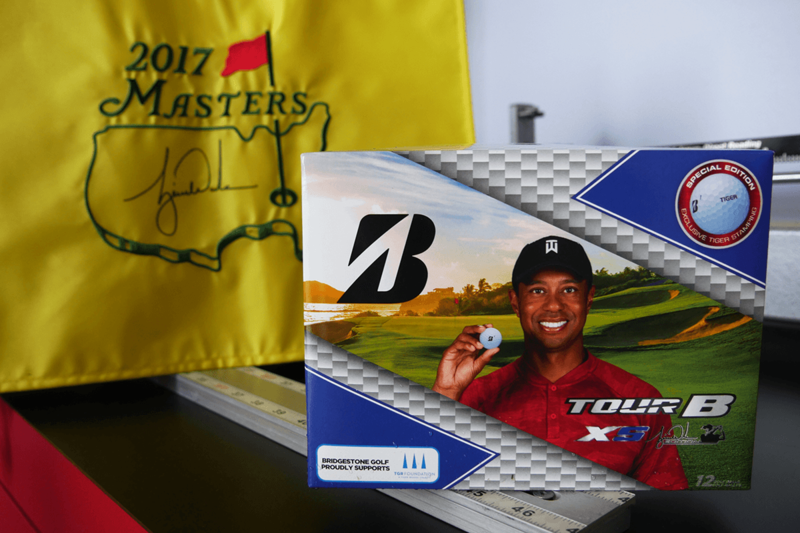 One of his pupils–Mr Ben Crenshaw grew up using such a weighted club-and by the way, Ben Crenshaw has a PowerStik and likes it. It is a fact that as a person gets older, his or hers muscles get shorter, and as they get shorter–they lose flexibility and swing speed. Any device that you can use to stretch those muscles out and increase flexibility will help you increase your swing speed. All the swing trainers mentioned here will do that–the biggest difference between them is the balance, weight and feel of the club. Personally–I don’t like the feel of a flexible, whippy shaft because a real golf shaft does not do that. Secondly, I like the majority of the weight in the head—rather than the shaft–because it feels much smoother when you swing it and does not put extra strain on your shoulder sockets. Sold mine for 12 years, and never have had one returned because someone didn’t like it—knock on wood !!! George, great to have you comment on yur product. Do you have anything for younger kids? I’m glad that there’s someone else out there that used the 22 ounce number, lol. I’m a one man company, hand make every PowerStik, and have limited resources. Making just one model allows me to sell that one as inexpensive as possible. 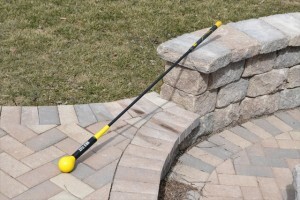 I recommend the PowerStik for everyone weighing 100 lbs or more. Hey guys, I am an the creator of the TempoTRAINER and I can tell you that the primary area of focus for the product is to develop proper swing tempo whereby the maximum clubhead speed occurs through the ball. The reason for incorporating the sliding weight and spring is to accurately teach the principal of zero-max-zero (zero at the top of the backwing, max through impact and zero in the top of the follow-through) as it relates to clubhead speed. Too many golfers either decelerate through the ball or do not complete the swing at the top in a smooth fashion. While the product does have added weight to it that will also help in warm up it is really more about about teaching mechanics. Sean, it looks like an excellent aid. My question is regarding the sliding weight. I also use the Momentus Speed Whoosh and as you’re probably familiar with it, it has the ball that is SUPPOSED to release when the golfer’s hands release, hopefully through impact if done correctly. I have found, as have others as I have read other posts, that what the ball did on the drawing board or what it’s supposed to do in theory, it doesn’t do in application. I have good lag and a solid release so I use the aid for tempo/speed training and just put the ball at the bottom to start with. Is this a concern with your device? I am not implying that it’s anything like the Woosh, because just looking at your aid, it looks like a much higher quality device. Thanks for the comments. I would say the main different with the TempoTRAINER and any other product out on the market is that it is an active device that provides feedback. There are numerous products that essentially has some mechanism that releases at a given speed such as the Speed Woosh. I can tell you that when I designed the product I had to design the weight and spring in such a way that it would respond to the majority of users. As it is designed, the weight fully compresses the spring until an audible click is heard at around 70-80 MPH clubhead speed. Now, if you are swinging at 105 MPH, the weight will compress earlier in the downswing but, it should always stay compressed through the ball and return back to the original position at the peak of the follow-through. I recommend users to start with the TempoTRAINER in a slow warm up speed (i.e., 20-30 MPH). A gradual build up of speed until you achieve your normal swing will enforce strong fundamentals and ensure that the clubhead is accelerating through the ball. A friend gave me a Momentus Swing Trainer a few years ago. Invaluable for off season and pre-season use, or just ten minutes in the evening. I mentioned it to a few friends who’ve bought their own and swear by it. Can’t say enough for the Orange Whip Trainer. I’m a novice and what I need is REPS, practice swings. Practice swinging without swaying, keeping the left arm straight, etc. The Orange Whip provides all of that and more. My scores have been coming down and my driver play is much much better. All for only a few minutes a day swinging it. I’m not sure golf is that much harder than any other sport – it’s just a sport that is hard to practice at home, and it’s practice that makes you better. 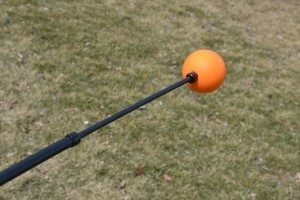 The Orange Whip lets me practice at home and that’s great! There’s this youtube by Golf Science which proofs that swinging something heavy does nothing for swing speed. In fact it does the opposite, it slows you down. For me I swing my sand wedge for warm ups and swing training. To me it’s good enough. I have seen that video. I believe if you swing with weighted clubs you also need to counterbalance it by holding the club head and swining for speed as well. So I do see a benefit in both. Great point! There is indeed scietific evidence that is you are training for speed, you go lighter and faster, not heavier. I use the Gold Flex & Orange Whip for tempo and for pre-practice stretching. My intent with this post is to be as clear as possible, so direct that even the most pompous and dense will comprehend. When I lived in Austin from 1978 to 1986, through my association with Ben Crenshaw and Tom Kite, I had on numerous occasions the opportunity to speak with Harvey Penick at first the “old” Austin Country Club and then the “new” course designed by Pete Dye. While we talked golf, at no time did the topic of weighted clubs, nor their “correct” weight in ounces, ever arise. However, I can tell you this. While Mr. Penick was in his late seventies and early eighties during out meetings, he was obviously a small and frail man. Even during his formative years, he was a slightly built fellow, one who would never be accused of possessing the physical strength to “overpower” a golf course. Thus, when considering the “correct” heft of a weighted club, I believe it important that one Consider The Source. Harvey’s advice that a weighted club should land between 22 and 30 ounces certainly stems from the fact that this was what HE could comfortably handle. Therefore, if the student too is slight of stature and displays a near lady-like grip, then by all means he should limit himself to Harvey’s guildelines. If, however, one is a serious golfer, a lifelong athlete, one accustomed to working with free weights, one who has hit thousands of balls in his life and boasts significant “golf strength,” then the swing aids mentioned in the review will simply be inadequate. Useful for building tempo and technique, as I’ve explained, but NOT designed for a significant uptick regarding arm and hand strength. A few years ago I ran into a competitor on the Long Drive circuit and asked if he had any particular training methods he could share. 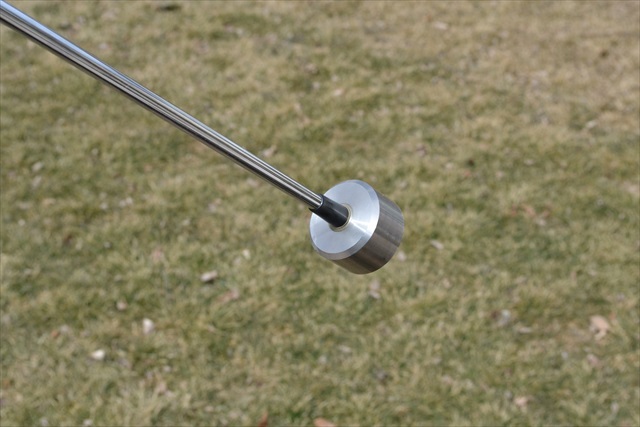 It was then that I learned about the six-pound hardened steel rod outfitted with a golf grip. I made one, used it and the result was a few minor long distance titles of my own. Certainly we all remember Vijay Singh cutting the air with swings using a “golf club” with what looked like an anvil at the end. NINE pounds, someone said, but who knows. If Harvey was around today he would tell you: golf changes and so do golfers. From the opening sentences in both of your posts, you have made it abundantly clear that you sir, are beyond any doubt, pompous and dense. Wow! You should be ashamed of yourself to spew pompous condescending remarks like that, but clearly you believe you’re more important than others. You’re not a playing partner anyone here would care to get stuck with for sure. I couldn’t agree with you more on most of your statements and as a former DI college LB, from the age of 18yo thru 2010( my last lessons with my teacher), I weighed anywhere from 234lbs to 245lbs, and in ’11 I was 234-235 and today, due to some health issues I’m presently at 215-218 lbs. The only reason that I brought up Mr. Penick was your referencing him as though you had a conversation with him over this very matter. My teacher too was smaller(5’8″, 145-150 lbs). And the other issues is what are your goals? If your an LDer, obviously your goals are different for the individual who wants to strengthen their “golf” muscles for a better more consistent swing. And obviously, your size would dictate what you consider “heavy.” And the other thing is that at no time did my teacher EVER directly quote Mr. Penick, only giving me instructions according to his beliefs, so I assumed, and I know what they say about assume, lol, but I assumed that he got that number from Mr. Penick, though who knows, it could’ve been his guidelines and not Mr. Penick. Though my teacher constantly talked to students about “golf” muscles though know that he was no fan of “free” weights, which yes, lol, I am very familiar with. The other thing, as I said,is your tone. This is a frickin golf blog, not a board room. People come here for enjoyment and relaxation. Not to be lectured to. Ah, maybe it’s me cuz I’m goin through some stuff now and I guess that I’m lookin at things differently. Lol, if it’s me, just ignore me, I’ll go away. First off, let’s make one thing clear: none of the training aids featured here are the “heavy clubs” of which Harvey Penick spoke. 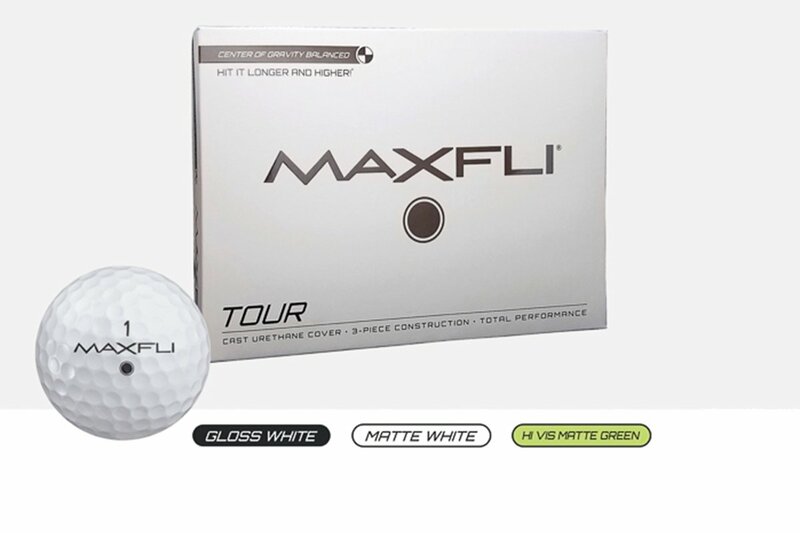 They are simply “swing training aids.” Compared to say, a lead-filled driver or even the Medicus Maximus “heavy driver,” these aids are lightweight and NOT designed to build strength, only tempo and technique. And I own them all — and more. I have the 48 inch Orange Whip that I swing under a high living room ceiling almost daily. I have an old wooden-headed Walter Hagen persimmon three-wood (my Dad’s) that I filled with lead (and to which I later filled the shaft with BB’s for back-weighting.) I have an old one-iron with a single golf ball taped to the face. 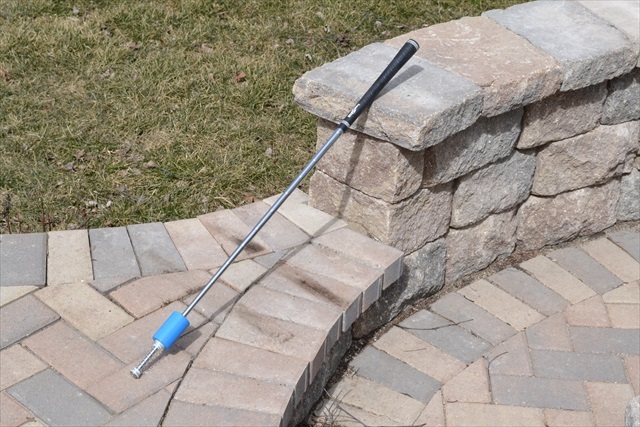 And the Monster: a piece of 6-pound rebar, 45 inches, equipped with a golf grip. Frankly, it’s TOO heavy for someone such as myself who’s getting over a wrist injury. But one day…..
A truly weighted club wlll stretch you and out and build some hand and arm strength. The trainers above serve a completely different purpose, so if you’re looking for improved technique and tempo, go demo and see for yourself. First off, Your first sentence, while it may not be innacurate by the letter of Mr. Penick’s definition of a “heavy” club, it most definitely is innacurate by the spirit of his definition. And I understand his definition and thoughts on “weighted” clubs, which can be found on page 62 in his first book, The Little Red Book. He states that the club should weigh at least 22 ounces, and the two aids that I use, the Orange Whip Golden, which is the 44″ model(41″ usable) and weighes 28+ ounces & the Gold Flex, which weighes in at 23+ ounces, so by Mr. Penick’s definition, weightwise, all four of these aids qualify. And these aids have the added benefit that you cannot get with a regular “weighted” club, in that since they are flexible, you can work on your tempo while simultaneously strengthening your “golf” muscles. While I will not speak for Mr. Penick, I will speak for one of his longest tenured proteges, who was my teacher for 36 years, and while he just passed a few years ago, when he had me swing his “weighted” club, a 26+ ounce 3FM, he would repeat, ad nauseam, “Tempo Richard, Temmmpo,” and though we did not have the benefit of these aids at the time, I have no doubt that he would have found either the Orange Whip or the Gold Flex to not only serve the purpose of strengthening the “golf” muscles, but also creating the tempo so critical to a good golf swing. To swing the Gold Flex fluidly and and in tempo will definitely strengthen your wrists and fore arms, while also providing a good stretch. The other thing that my teacher, and I have to believe Mr. Penick passed this to him, is that the object was to strengthen the “golf” muscles, and I’ll never forget when a buddy of mine gave me his weighted club to take to my lesson and it weighed 36 ounces. My teacher took it from me, & didn’t even do a full swing and handed it back and said, “No good,” meaning that it was too heavy. I asked him what was the heaviest weight I should use and he said 28-30 ounces. So, Matt was spot on in his description of these as “weighted” clubs?aids, and especially for the average amateur, their multi-benefit features would be much more beneficial in both strengthening the “golf” muscles neccessary & creating the tempo that is manditory for a good, consistent golf swing. And your opening sentence, “First off, let’s make one thing clear,” rings of a parent lecturing a child, and it is safe to say that the only reaon that Mr. Penick was not referring to one of these aids in his book or teaching is becuase they were not in existance at the time. It is safe to state that they will definitely help to increase both strength & flexibility, while also improving one’s tempo. 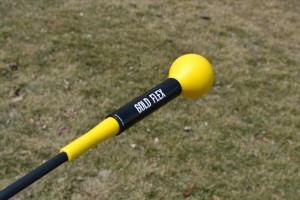 I tried both the Gold Flex and the Orange Whip at GS and prefer the Gold Flex without the counter balance for my swing. I’m a 7 handicap and my major swing fault is rushing the transition so the Gold Flex was perfect for me. I bought one a couple of weeks ago at that great $52 Amazon price. So far I have only used it a couple of times at the range due to our superbly crappy “springtime” weather here in Colorado. I like what I feel when I swing it and it definitely gives me the feedback I’m looking for to smooth out my transition and tempo. I can’t wait to get out and swing it regularly. The Gold Flex is actually $52 at Amazon. I wanted to go with the Orange Whip but simply could not justify the huge price difference. So far I’m loving the Gold Flex, I take it our every evening and swing it for about 5 minutes to stay loose. 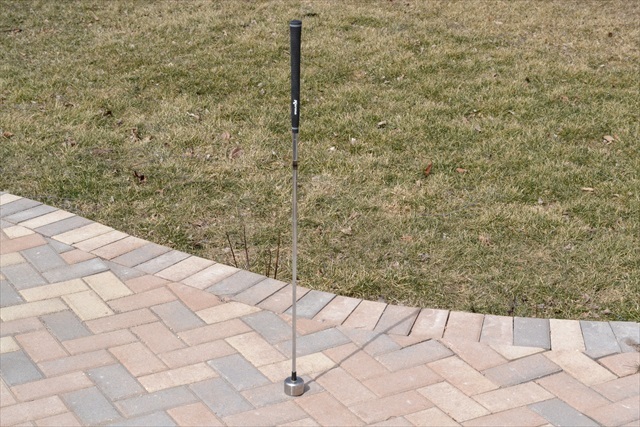 Its a great warm up tool as well and I noticed better driving distance and accuracy when I take practice swings with it while playing. PS. I have wasted money money on quite a few traiing aids that are collecting dust. This one is gettng a lot of use. I also use it to strengthen my wrist (loweing and raising the club) when just sitting around watching tv. Highly recommended! Is yours the normal or the shorter 40 model? Try the Matzie Swing Trainer instead. It not only gives you the benefits of a heavier club but also works to put you in the best swing positions too due to its odd shaft shape (at least it seems too). Plus it has a training grip on it too. But like any swing trainer you have to be careful not to overswing or you’ll hurt your shoulder.